The Incarnation, i.e. when God became man, took place when Mary consented to the angel’s announcement. Jesus, one with the Eternal God, became human at that moment in time, and entered as part of His own creation. The Almighty God humbly lowered Himself to become, what some refer to as, a blob of tissue. Hence, the Word became flesh not by physically separating from Mary at His birth, but upon the initial moment of His life within her. 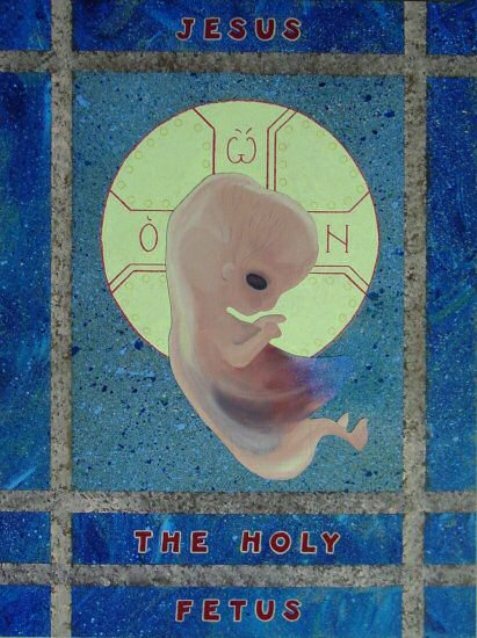 Because our souls are lovingly made in the image of this great God and created at the moment of conception, every human fetus, embryo or zygote is thereby sacred.